Go here for Memphis Press-Scimitar article the day after. This is indeed one of my favorite releases. It features Elvis's closing tour concert in Memphis, June 10 1975. Tour number 14 since 1969 (May 30 - June 10) is the most covered period of all when it comes to soundboard releases. Even BMG released a soundboard from this tour, mainly focusing on the concert from June 6 in Dallas, Texas. In addition to this, Rock Legends released the June 2 concert in Mobile (Sold Out In Dixie), while King Records released the June 3 concert in Tuscaloosa on Deep Down South. Finally the June 9 concert in Jackson, was released by Pegasus on Cut 'Em Down To Size. All of these releases have great quality, but none - BMG's included - can match this specific release from DAE. DAE is better in both artwork, sound and overall dedication! Elvis In Memphis, June 10 1975 Elvis is in high spirits this day, as he was on most of his concerts this specific tour. An energetic 'See See Rider' sets the pace. A lot of fun during 'I Got A Woman/Amen' assures the listener that this will be one helluva evening. 'Love Me' is performed more seriously than Elvis used to do, a welcomed change, indeed. And there is no doubt that Elvis simply loved the Olivia Newton-John song 'If You Love Me (Let Me Know)'. 'Love Me Tender' is of course two - three minutes of giving away scarves, kissing girls and shaking hands, more than a piece of music. But then again, who could blame him? 'All Shook Up' is also a real run-through, while 'Teddy Bear/Don't Be Cruel' is surprisingly dedicated. I think the reason for this is the tempo. Too often Elvis would rush through this medley. This day, however, it is performed quite slowly. It is not often you get to hear Elvis promoting his own records. But this day he makes it quite clear that the next song he is going to perform can be found on his new album, called "Elvis Today". The way Elvis performs 'Fairytale' is also something of a promotion. This is one of the best versions I have ever heard of Elvis doing this song. Perhaps only beaten by a version he did some months before in Las Vegas. 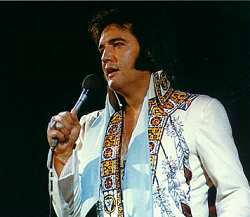 It is full of conviction, and Elvis' voice is steady and strong as many times in 1975 and years before. In general these words also applies for 'Burning Love'. A splendid mixture of Rock and Pop delivered in suitable style! The introduction of the band was by now beginning to take more and more time, but still it is not as boring as it would be later on. Elvis kicks off a fair version of 'Johnny B. Goode' during the presentation of James Burton. After the band is introduced, Elvis also presents his father, and his doctor! This is Elvis in a nutshell; no one could feel certain of not being introduced by Elvis while attending an Elvis show! Before 'T-R-O-U-B-L-E', Elvis again find it appropriate to inform the audience that this song recently has been released on a record. 'T-R-O-U-B-L-E' this day is really a great version. Sometimes Elvis had problems with the lyrics and the overall arrangement of the song. Not this day! 'Why Me, Lord' is mixed with some typical Elvis humor, and 'How Great Thou Art' is getting more and more majestic. Still not as great as it would be later (the best version I have heard is from Las Vegas, December 13 1975), but definitely better than versions from 1972 and 1974. This does not account for 'Let Me Be There' and 'Funny How Time Slips Away' and certainly not for 'American Trilogy'. Elvis was obviously a bit tired of "Trilogy". Still he does good versions of the song, but the commitment is less than before. 'American Trilogy' and 'Mystery Train/Tiger Man' are taken from another concert, and not from Memphis. You can hear both these versions in quite a different sound mix on the bootleg from Jackson, June 9 Cut 'Em Down To Size. The two last tracks on "Let Me Take You Home" are taken from yet another concert, this time from Shreveport, June 7. Diamond Anniversary has managed to put these songs together so well that you can hardly notice that it is not from the same concert. Splendid work! I have heard other bootleggers failed to do this, even with an easier task. This bootleg will always be one of my favorites. In general it is Elvis at his almost best...and in good sound! The packaging is dedicated and the overall content is interesting. What more can you wish for? Reviewed by Oven Egeland, Elvis In Norway - May 1 2000. What we have here is really a GREAT show and a great CD. This period of Elvis is very good, as he is in good spirit and sings his heart out! When Elvis was in Memphis, he always put on his best, and this is the case also on this CD. DAE made an excellent job in the packaging of this CD. It's first class with sharp photos from the show and with information about the musicians. The sound is superb, clear and loud with excellent mixing job. As usual '2001' opens the show, after a little warm up of the musicians (this is nice, it puts you in "the concert mood"). After that comes 'See See Rider', a great rocking version with Elvis voice very strong. After thanking the audience Elvis starts 'I Got A Woman'. At the end of this song we can hear a peculiar moment when Charlie Hodge fails to catch Elvis' guitar. But Elvis don't give up, and the trick is done again and I guess Charlie got it this time. 'Love Me' is next and is done the same way as always and same with 'Hound Dog', 'Love Me Tender' and 'All Shook Up'. Of the "oldies" only 'Teddy Bear/Don't Be Cruel' is done in a different way, since the tempo was slowed down a bit and this makes the song sound better. 'If You Love Me' is one of my favorites, and Elvis really does a good job in this number. It's a little faster than the early versions of 1974. 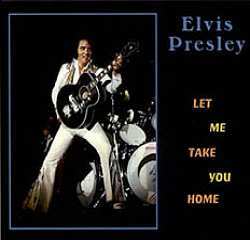 Since the album "Today" was just released, Elvis sings one of the songs from his last studio effort: 'Fairytale'. This is one of the best versions that we have, as Elvis puts a lot and the band gives a "spice" treatment on this country number. I always liked the live versions of this song better than the studio one. 'Burning Love' is next, and it is another highlight - a fantastic version! During the introductions the band does their solo numbers, and one of the best is Glen Hardin on piano. He does a really good job and Elvis acknowledges it with "play it one more time Killer". Elvis continues to promote his new album and we are treated with one of the best versions of the "country-rock" 'T-R-O-U-B-L-E'. This really puts the house on fire! 'Why me Lord?' is very good, with some funny moments when Elvis makes JD cracks in his solo line. Next is the "serious gospel song" that Elvis always loved. 'How Great Thou Art', and there's not much to say about this one. It's fantastic and just shows us "How Great His Art Is". 'Let Me Be There' is the kind of song that makes an audience dance and clapping, and although we can't hear or see it, this version gives us a hint. It's really energetic. It's time to bring the house lights up and to sing 'Funny How Times Slips Away', a good country number though not the best version I have heard. The next song, 'Little Darling' is funny, and that's the only reason that Elvis sings this song. 'American Trilogy', 'Mystery Train/Tiger Man' and 'Can't Help Falling In Love' are not from Memphis, but from Jackson and Shreveport, and all are good ones, in the same level of the performances in Memphis. Then it is time for the 'Closing Vamp' and later Al Dvorin tell us that (unfortunately) the show is over. 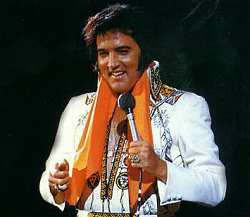 It was worthwhile and we and the fans at the Mid-South Coliseum are treated with a brilliant performance of the King. A great song lineup, great performances from the man, a great packaging and a great sounding record makes this one of the best import release out there. If you got a chance, grab it!